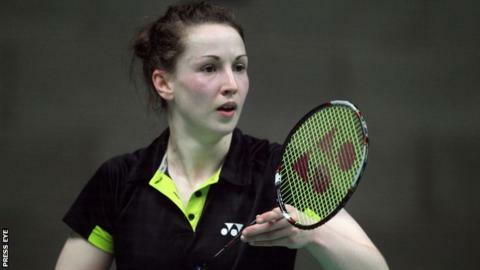 Irish involvement at the World Championships in Guangzhou ended when Chloe Magee lost in the opening round of the women's singles. The Donegal woman was beaten 21-14 21-14 by Hsaio Ma Pei of Chinese Taipei. Pei had clearly upped her game since the pair last met in the Thailand Open earlier the summer. Magee and her brother Sam were beaten by Dutch pair Jorrit De Ruiter and Samantha Barning in the mixed doubles on Monday. The Irish pair lost 21-15 21-12 against their Dutch opponents. Dubliner Scott Evans was defeated 21-14 21-15 by top seed Lee Chong Wei in the men's singles on Monday. The Ireland squad will now take a break before resuming training for the winter season. Highlights will include the Irish Futures Tournament in October and the Irish Open in December with both events taking place at Baldoyle.